Redeemed By The Blood Of Jesus Shed At The Cross. 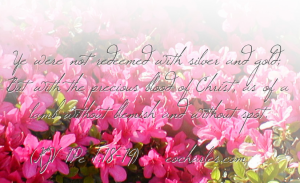 1Pe 1:19 but with the precious blood of the Messiah, like that of a lamb without blemish or defect. 1Pe 1:20 On the one hand, he was foreknown before the creation of the world, but on the other hand, he was revealed at the end of time for your sake. 1Pe 1:21 Through him you believe in God, who raised him from the dead and gave him glory, so that your faith and hope might be in God. O blood shed at the cross,1)Col 1:20 Through the Son, God also reconciled all things to himself, whether things on earth or things in heaven, thereby making peace through the blood of his cross. 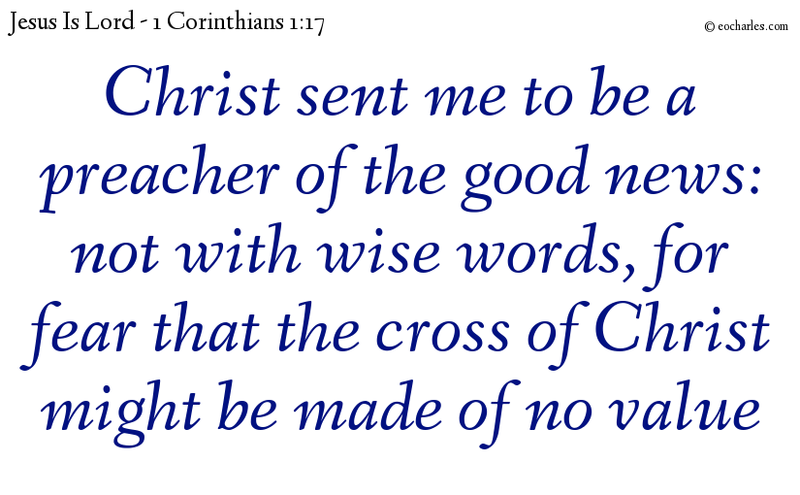 Washing us sinless, God sacrificed him for us.2)1Co 1:18 For the message about the cross is nonsense to those who are being destroyed, but it is God’s power to us who are being saved. Eph 2:16 and reconciling both groups to God in one body through the cross, on which he eliminated the hostility. World, we are dead to you, and alive in Christ!4)Gal 6:14 But may I never boast about anything except the cross of our Lord Jesus, the Messiah, by which the world has been crucified to me, and I to the world! (ISV) 5)Rom 6:11 Likewise reckon ye also yourselves to be dead indeed unto sin, but alive unto God through Jesus Christ our Lord. 6)1Co 15:22 For as in Adam all die, even so in Christ shall all be made alive. Crimson Love, shed at the cross. Redeemed by the Blood of God’s Lamb. Thank You For Your Blood, shed at the cross. Thank you for your love, shown at the cross7)Php 2:8 And being found in fashion as a man, he humbled himself, and became obedient unto death, even the death of the cross. 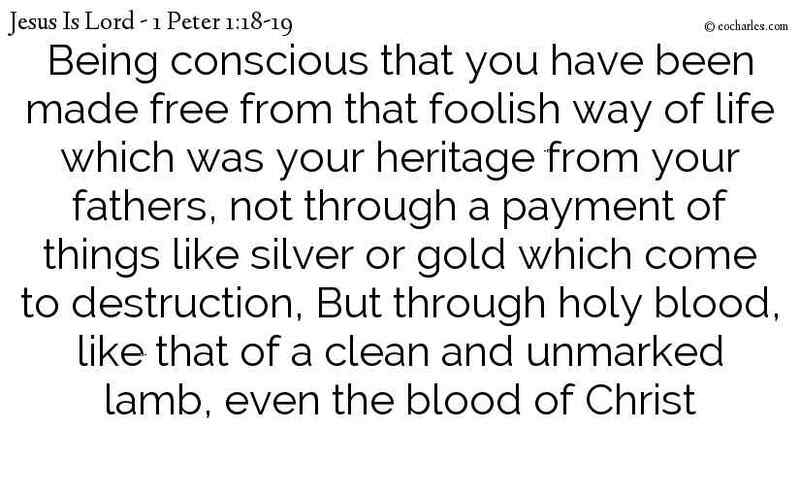 Ye were not redeemed with silver and gold; But with the precious blood of Christ, as of a lamb without blemish and without spot. 1. ↑ Col 1:20 Through the Son, God also reconciled all things to himself, whether things on earth or things in heaven, thereby making peace through the blood of his cross. 2. 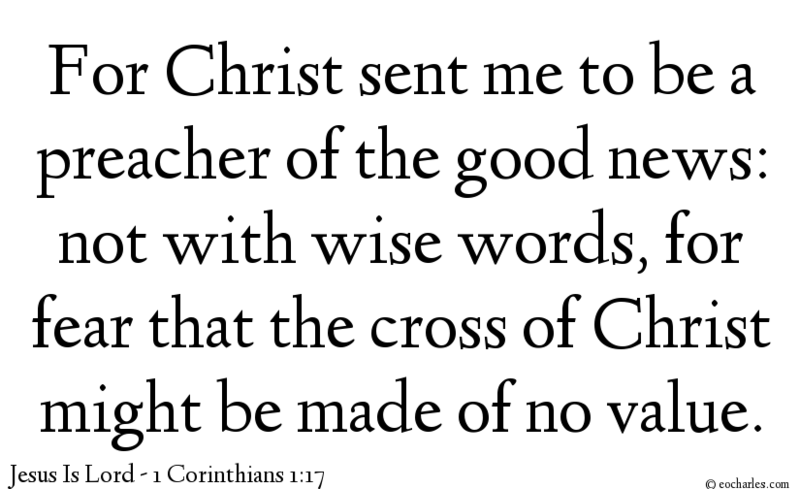 ↑ 1Co 1:18 For the message about the cross is nonsense to those who are being destroyed, but it is God’s power to us who are being saved. 4. ↑ Gal 6:14 But may I never boast about anything except the cross of our Lord Jesus, the Messiah, by which the world has been crucified to me, and I to the world! 5. ↑ Rom 6:11 Likewise reckon ye also yourselves to be dead indeed unto sin, but alive unto God through Jesus Christ our Lord. 6. ↑ 1Co 15:22 For as in Adam all die, even so in Christ shall all be made alive. 7. ↑ Php 2:8 And being found in fashion as a man, he humbled himself, and became obedient unto death, even the death of the cross. 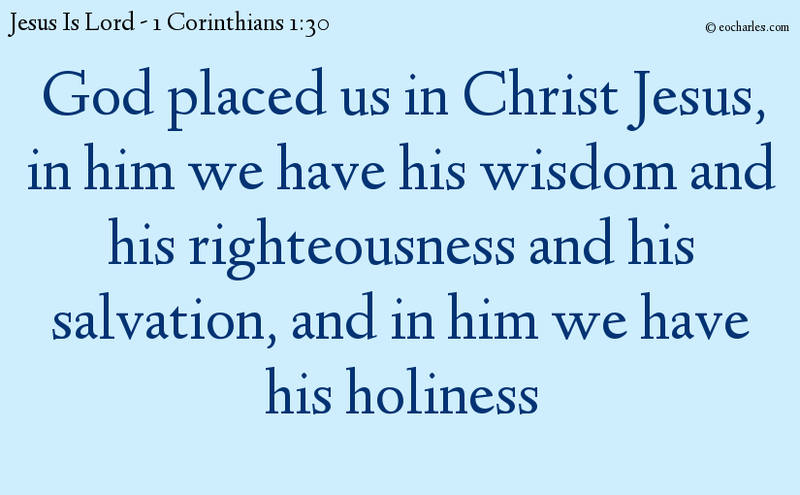 1Co 1:30 It is because of God that you are in union with the Messiah Jesus, who for us has become wisdom from God, as well as our righteousness, sanctification, and redemption. To those of God’s selection, Jews and Greeks, Christ is the power and the wisdom of God. Because what seems foolish in God is wiser than men; and what seems feeble in God is stronger than men. So that no flesh might have glory before God. So that, as it is said in the holy Writings, Whoever has a desire for glory, let his glory be in the Lord. The Lord God wants us to make his will known unto the heavenly host. Who do have a connection to God through The Spirit Of Jesus. And who do “hear” and thus know the will of God. That is the intent of God. Greetings, Blessings and Praises to all the Saints and the Kings within. I just want to testify that sometimes we can hear The Lord very clearly (when we pay attention and are silent in the spirit). Today Just after listening to a passage from Proverbs PRO 3:27, that states that if it is in your power to help someone needy, you should not say no, someone called me asking for a favor which is in my power, so I smiled and said yes. This is the faith of the saints. How does it go again…?